"A very moving character study of Satoshi Murayama, but above all, (...) a beautiful love letter to the art of Shogi." 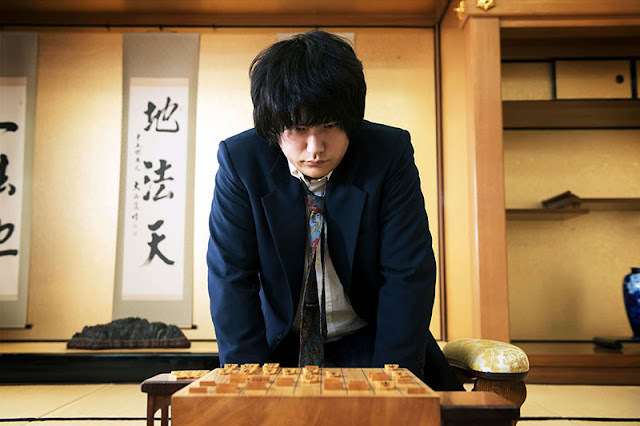 Shogi might already have been featured in many manga and anime, but, given its popularity o, it might be surprising that it took so long for someone to create a biopic about a famous player. Well, the wait is over. “Satoshi: A Move For Tomorrow”, based on the nonfiction novel "Satoshi no Seishun" (2000) by Yoshio Osaki, concerns the short life of Shogi prodigy Satoshi Murayama (June 15, 1969-August 8, 1998), who struggled with nephrotic syndrome from childhood onward and, in the end, also with cancer. The narrative has proven to move the audiences, winning various awards at different movie festivals in Japan. Will “Satoshi: A Move For Tomorrow” be able to move western audiences as well? "Satoshi: A Move for Tomorrow " is screening at Japan Cuts, that will be until July 23. When a heavy illness strikes the small Satoshi, his parents rush him to the hospital. The diagnosis: nephrotic syndrome. To make sure Satoshi, who is stuck for a while in the hospital, can kill his time, his father gives him a Shogi game and some shogi books. A gift that will define his life to come. From fifteen onwards, over a period of ten years, Mori (Lily Franky) teaches Satoshi (Kenichi Matsuyama) the game of Shogi. After losing from cool and calculated Habu (Masahiro Higashide), Satoshi decides to move Tokyo with one goal in mind: beat Habu and receive the title of Meijin, one of the seven titles in Shogi. And then disaster strikes: Satoshi is diagnosed with cancer. But despite this diagnosis, giving up his lifegoal is out of the question. Will the unpredictable Satoshi be able to beat Habu, the reigning champion, whose genius rivals his own, or will the cancer put a halt to his ambition? As the name implies, “Satoshi: A move for Tomorrow” is an honest character study of Satoshi. The narrative, the script, gives careful attention to his speech, his moments of silence and his comportments. This thoughtful approach, which has to be applauded, does not fail to give a believable subjective depth to the character of Satoshi. What the narrative beautifully uncovers for the spectator is not so much the importance, but the necessity of Shogi in Satoshi’s life. 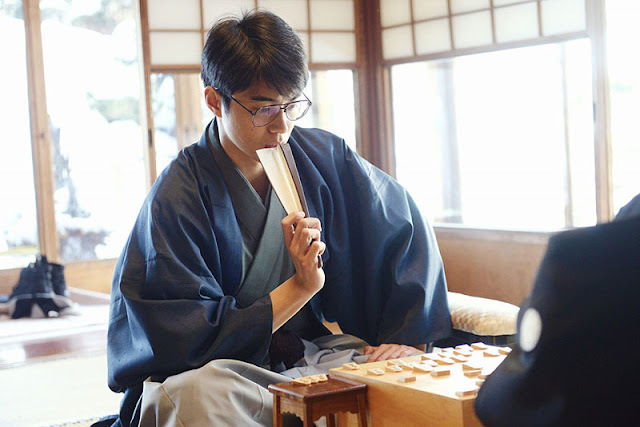 This necessity is sensible when the narrative reveals how his identity has become almost synonymous with the art of Shogi and with his wish to beat Habu and to become Meijin. 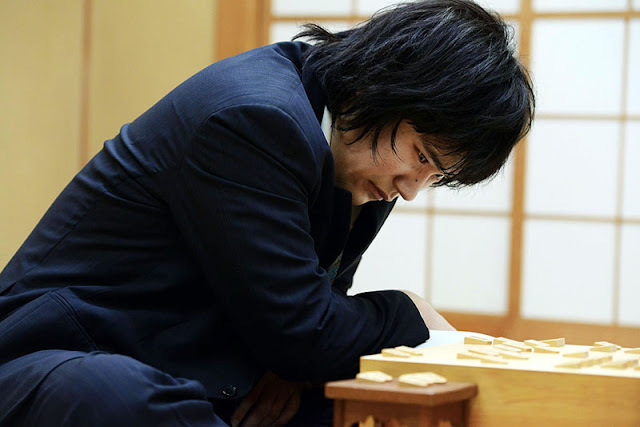 As spectators, we slowly come to understand that for Satoshi, shogi is living as such – giving him a position in the social field - and that the lack of shogi is nothing other than the death of his subjectivity. As the spectator follows Satoshi’s life – which is largely told chronologically, we experience some of his timid joys, the tension associated with high-level shogi, but, more importantly, the effects that the menacing shadow of death that hangs over him causes. While it is true that prior knowledge of shogi, its rules and tactics, may enhance the pleasure of witnessing Satoshi’s life through the excitement and the tension inherent to the games of chess. Those with no knowledge of the game prior to seeing this movie, might even feel tempted to try their hand at this beautiful game. “Satoshi: a Move for Tomorrow” is shot with a cinematographical dynamism, a cinematography favouring movement, while incorporating static viewpoints to underline the characteristic presence of Satoshi and, to a lesser degree, of Habu. While the movement of the camera is often associated with the movement of Satoshi in the narrative space, the cinematography also underlines the narrative space as such and the comportments of people, Habu for instance; correlated with Satoshi. This dynamism is also present in the cinematographical framing of the ceremonial shogi matches, a framing that, by focusing on the careful but decisive movements - the rhythm of click, click, click - of the two players within a narrative space characterized by emptiness and silence, makes the tension of these matches truly captivating. And even though the script and the cinematography provide the means to evoke character depth, it is Matsuyama Kenichi’s brilliant performance that realizes this potential to the fullest. It is because of his devotion, e.g. practicing the way shogi masters place their hexagon-shaped tiles for many months, and gaining weight, that the narrative, which shies away from inspirational melodrama, can engross the viewer and evoke such sensible sadness. “Satoshi: A Move for Tomorrow” is a narrative that succeeds in capturing the art of Shogi in all its diverse aspects. The spectator feels the tension, senses the focus of the players, and experiences the passion associated with the game. The strength of the narrative lies in the fact that the subject of Satoshi is investigated as such, while carefully avoiding the pitfalls of easy melodrama or inspirational chitter-chatter. Matsuyama Kenichi’s splendid performance turns “Satoshi: A Move for Tomorrow” into a very moving character study of Satoshi Murayama, but, above all, into a beautiful love-letter to the art of Shogi.